Samantha Rucki (right, b. 1998) and Gianna Rucki (left, b. 1999) ran away from their Lakeville, Minnesota home on April 19, 2013 during a custody dispute. 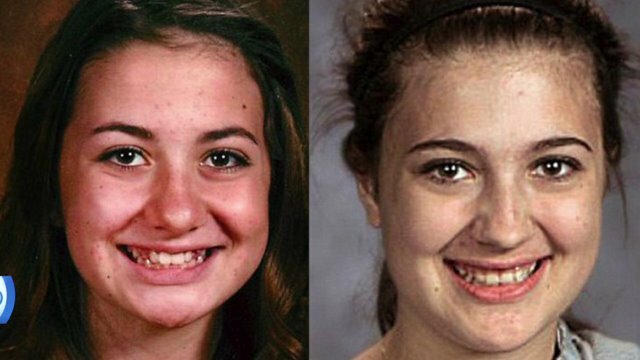 Their mother, Sandra Grazzini-Rucki, then abducted them and took them to White Horse Ranch in Herman, Minnesota, where they were hidden by an underground network of family court critics until their rescue in November 2015. While being hidden, the girls were homeschooled and denied medical care. Grazzini-Rucki divorced the girls’ father, David Rucki, in May 2011 and was granted full custody of their five children. In September 2011, a judge vacated the divorce due to evidence that Grazzini-Rucki had committed fraud. In late 2012, both parents were barred from contacting the children after a psychologist reported that Grazzini-Rucki had brainwashed the children and alienated them from their father, whom Grazzini-Rucki accused of abusing the girls. Shortly after the girls’ disappearance, they gave a televised interview where they stated that they did not want to live with their father as they were afraid of him. David Rucki was granted full custody of the children in November 2013, after the court found no evidence of abuse. While the girls were being hidden at the ranch, Grazzini-Rucki denied any knowledge of their whereabouts as she and her boyfriend traveled to various locations around the world. She was eventually arrested in Florida on October 18, 2015 and charged with three counts of felony deprivation of parental rights. While investigating the girls’ disappearance, police searched the home of DeDe Evavold, a political aide of Michelle MacDonald (Grazzini-Rucki’s attorney who ran unsuccessfully for the Minnesota Supreme Court in 2014). There they found evidence which led them to White Horse Ranch, where they were serving a search warrant when they discovered the girls.